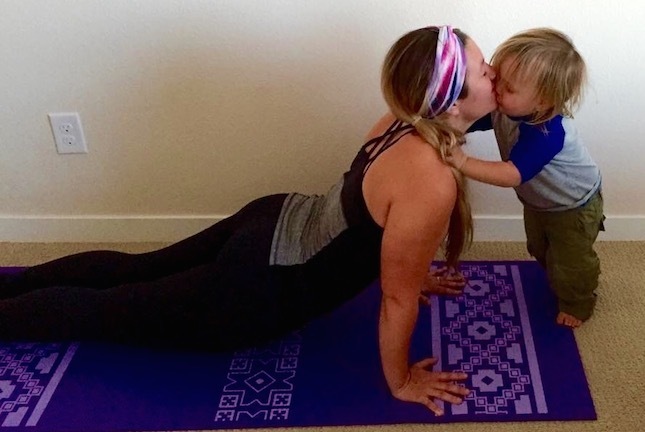 How Motherhood Made me a Real Yogi. I followed a strict vegan diet, as to adhere to the yogic principle of ahimsa or “non-violence.” Hot yoga was my jam, and I had a regular practice. I drank the green juices, green smoothies, and green kombuchas and felt pretty damn good about my yogi-ness. Were there poses I wanted to improve on? Sure! But mostly, I thought I was doing it right. And, even more foolishly, I thought the yogis who weren’t on their mat, sweating out their latest vegan lunch, were doing it wrong. I was all about the asana, the physical poses. It’s funny how motherhood changes you. Flash forward to when I became pregnant and hot yoga was not the best for my body anymore. All of a sudden my vegan diet was not quite enough for my body to sustain two lives, and animal protein made its way in. My physical practice changed from sweating and twisting in front of mirrors, trying to get smaller…to opening and stretching in a circle of women, as I slowly got bigger. My practice of “ahimsa” began to shift to a much larger interpretation. I learned to include myself in the circle of non-harm, meaning that I needed to love myself, care for myself, and monitor the negative beliefs in my mind. If I was going to be a good mother, I needed to love myself first. As my beautiful son, and my smartest guru, came into the picture, my physical practice continued to change. Traditional abdominal exercises you find in a power class, something that I loved to muscle through, were now harmful. Postpartum women should actually avoid crunches and planks, so that the abdominal muscles can come back together again. The idea of an early morning yoga class wasn’t happening when my son needed a 6 a.m. feeding. Even an evening class meant the navigation of a breast pump, feeding before I left, and missing out on the bed time routine that, at the time, I was still really needed for. But I started to see that those physical, sweaty classes were not the only real yoga. The real yoga, for me, was now the pranayama, or breath control. This controlled breathing not only helped me through a natural birth, but continued to help me through endless diaper explosions, meltdowns, and later, toddler temper tantrums. As I sat in the stillness of my newborn, with the maya, or veil of illusion, fallen away, I was able to see my true self. As my son has gotten older, I have returned to my mat for a more physical practice. One that usually includes more compassion for myself, and everyone around me. 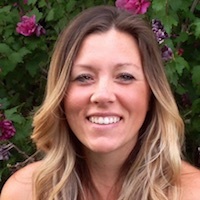 While I am currently sidelined from hot power yoga again, now that I am pregnant with my second son, I am not as distraught as I once was…because I have been able to see this as a process—an always shifting practice that I cannot get attached to. But I can also see myself as a real yogi, right now, even with the trappings of what I thought that “real yoga” was, stripped away. Good enough. Yogic enough. A yogi who can honor all parts of the journey, not just the ones that our Western culture tends to glorify. One that can see that the meditation and the breath are just as important as the asana. Great post. This article has very nice discus about motherhood. Thanks for sharing that quote. when i got pregnant someone gave me a sticker that read "motherhood is the shortest and steepest path to enlightenment", Turns out it is true. <3 great article, thanks!